In the ’80s, when author/photographer Kurt Hollander lived in New York and published The Portable Lower East, life there was particularly rough, and cops often drove yellow cabs as a method to surprise and roust its residents. Before the decade ended, Hollander moved to the equally rough climes of Mexico City, making his living writing and photographing for The Guardian, The New York Times, Los Angeles Times, and many other publications. 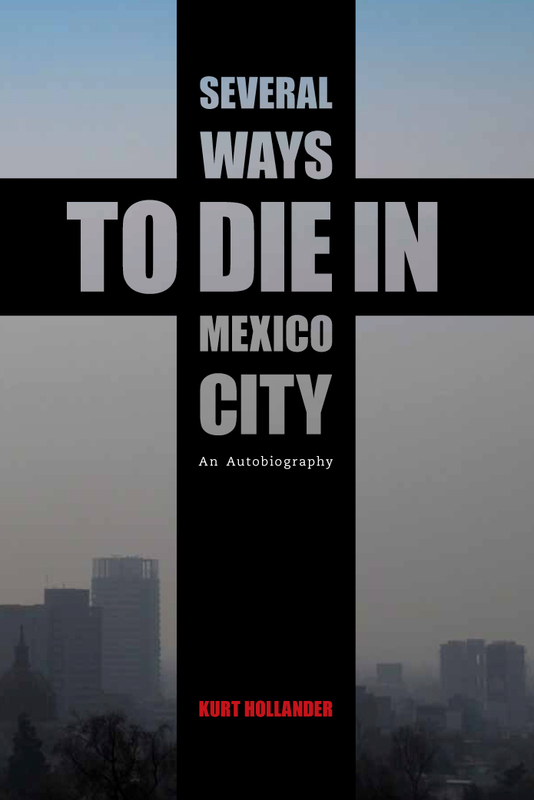 Hollander’s visual and textual extravaganza, Several Ways to Die in Mexico City, provides a perspective of this extraordinary city that could only have been caught by an observant outsider who lived in all its nooks and crannies for over two decades. Crammed with caustic but fair observations of the city’s history, food, cults, drugs, and buildings, Hollander proves that he can love a city and culture that also kills its inhabitants softly. The book contains dozens of extraordinary photographs. While living high in Mexico City, Kurt Hollander edited poliester, the renowned bilingual art magazine about the Americas. He also directed the feature film Carambola and wrote a successful series of children’s books. Grove Press published the Portable Lower East Side anthology in 1994.